Although Spring has not yet made a full appearance yet, we are starting to see longer days of daylight and with this in mind – we know that sunshine & warmth will soon follow! 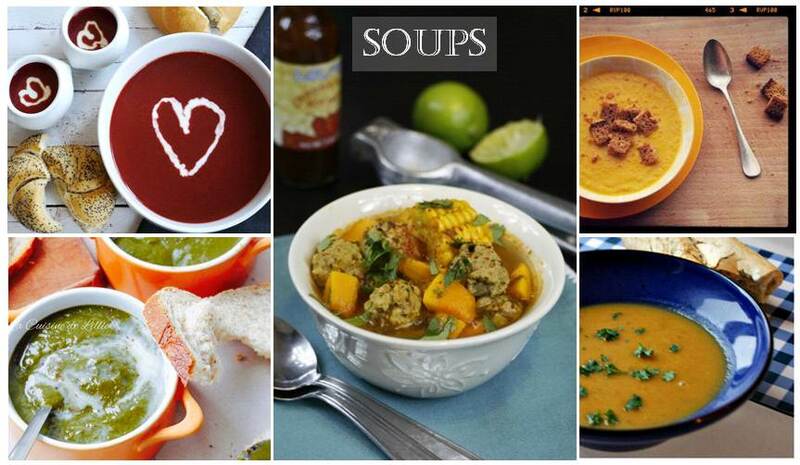 But while the days still remain on the cooler side – we can still enjoy a few more of our favourite soups! Marion from Crumbles et Cassonade shares a recipe for Mexican-inspired soup with meatballs, coriander, pumpkin, lemon and chipotle salsa which is sure to keep you warm & full! Tine from Tine at Home turns this delicious purple vegetable into a heartwarming Beetroot soup served with ladles of love. This Cream of Spinach soup from Lillie of La Cuisine de Lillie looks both healthy & tasty. While this combination of Cream of Carrot with Gingerbread Croutons from Feodora of Broccolious has us absolutely drooling! And let’s be honest, nothing beats a simple Vegetable soup – Michelle of Very Hungry Explorer promises that this will be the only soup recipe that you will ever need to know! Have you got a soup recipe to share with us? Just add the link in the comments section below!